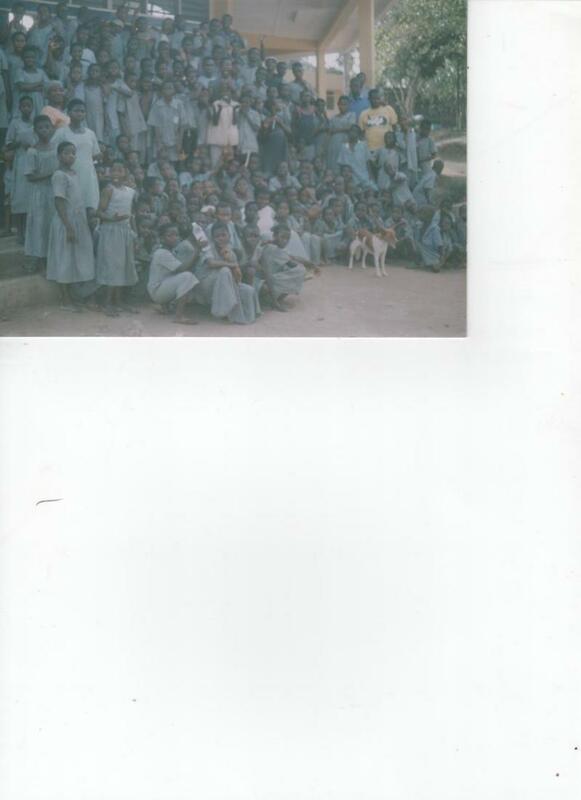 The picture below was taken in April, 2004 of the Deaf children at the residential elementary school program. Because they are taught ASL, I was able to talk with them and they asked me many questions about America. When I retire from interpreting, my husband Kofi and I will move to Ghana, where he was born and raised and live peacefully in the beautiful mountain top area of the well known national botanical gardens of Aburi. I will be volunteer teaching at the elementry and high schools, that are nearby where we live.